Dog grooming is my passion! I have been involved in dogs and the grooming of dogs my entire life! As a very young child on a farm in rural Kansas my family had Rough Coated Collies just like Lassie to work the property and livestock. At this young age grooming consisted of brushing the dead coat clumps out of them each spring on the picnic table in the front yard. When I was 5 my parents bought a Yorkshire terrier. ​​The breeder sold us a very high quality dog with the agreement that we show the dog through to her Championship. ​My mother did not have the knowledge to care for the coat in the proper fashion. She went to a grooming salon to ask for advice. She was very intrigued by the salon and its goings on. She made a nuisance of herself and the owner of the salon decided to put her to work and train her in the art of grooming a dog. 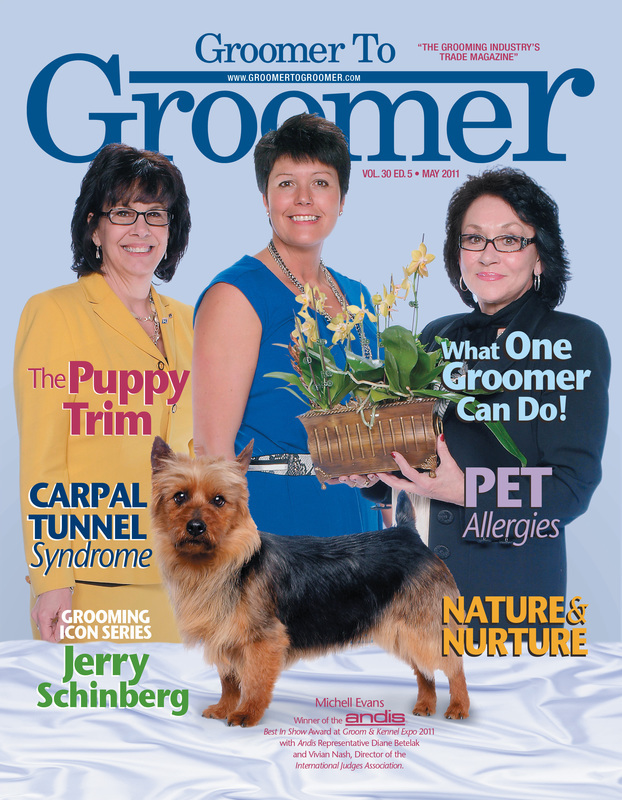 My mother immersed herself into breeding, showing and perfecting her skills as a dog groomer. 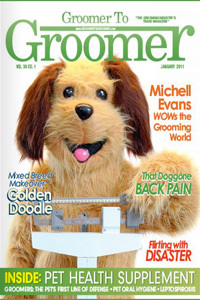 ​When I was 11 my mother opened Showcase Grooming where I learned the very best in basic dog grooming skills. I worked there every summer through school and later became a full time groomer. ​In 1998 I moved to Portland Oregon.. I worked at Oswego Veterinary Hospital in Lake Oswego Oregon as the grooming manager. It was during this time that I worked very hard to become a master stylist. I took lessons from many of the top breeders in the area. I studied for and completed all of my written exams for the International Professional Groomers Inc. and the National Dog Groomers Association of America. I tested at every opportunity to complete my practical exams for both organizations. I completed both certifications during my 6 years in Portland. I took the position of President of the Pacific Northwest Professional Groomers Association. It was during this time that I realized all of the knowledge I was gaining could be used to help others and I started my teaching business, The Grooming Tutor. It has grown to be a very successful business. I have students all over the world! 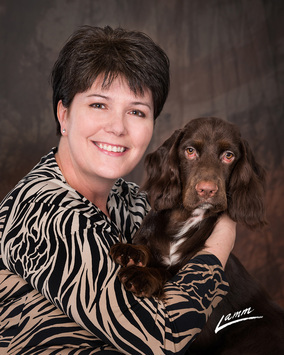 I groom and handle many different breeds of dogs for American Kennel Club dog shows. I am dedicated to learning the intricate details of a breeds groom for the conformation show ring. Aside from grooming for a living and a hobby I have volunteered many hours at local shelters and rescue organizations over the years. This has been some of my most rewarding grooming I have ever done! In 2004 I moved from Portland to Albuquerque. This was a good time in my life to pursue my dream of earning a spot on the United States Dog Grooming Team, GroomTeam USA. It takes 2 years of very hard work and a ton of talent to earn one of these coveted spots. After Studio Canine, my Salon in New Mexico, was up and running and I had a firm clientele with a waiting list it was time to go for it! In 2009 I started my pursuit. After 2 years, 28 shows and more than 120 dogs groomed in contests I had earned enough points to make the team. In 2011 the team, consisting of 4 members, went to Kortrijk Belgium and won the silver medal for the United States! This was an amazing adventure and a time in my life where I learned just what I am made of. Due to my diligence and talent I earned a spot on the next team competing in Barcelona Spain in 2013 and won the Gold Medal! USA # 1 in the World! I am now a respected judge, demonstrator and speaker in my industry worldwide as well as a celebrity spokesperson for Andis Clipper Company. My Pet Salon and Spa, Canine Perfection, here in Lake Oswego is the place for me to work for the remainder of my career. Even though I travel all around the world I love my business here in Lake Oswego and I am dedicated to my clients! 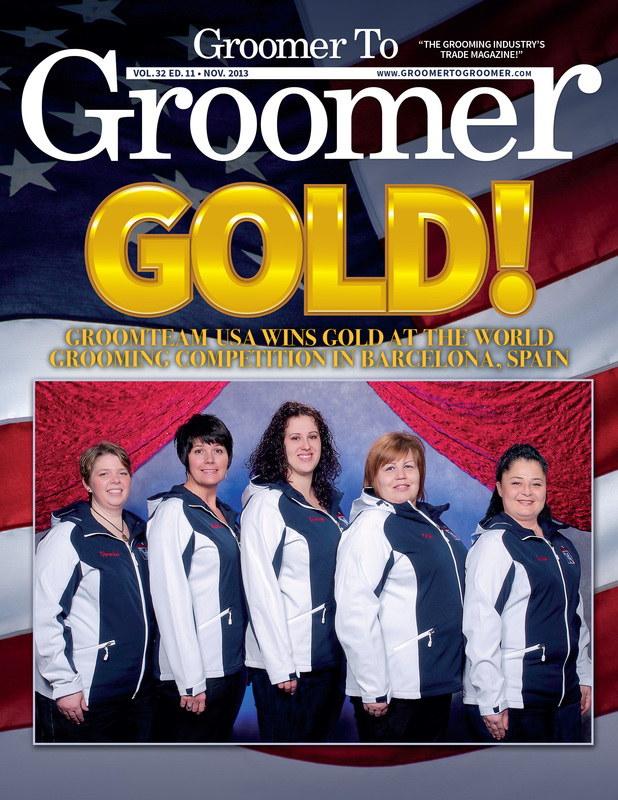 ​Click this button to watch a video about GroomTeam USA winning the Gold Medal.